Bats have suffered from a bad reputation over the past several centuries. 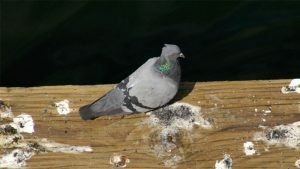 These adorable little critters play a crucial role in controlling the insect population, and their guano is good for the soil. So why do most people want to get rid of bats? Unfortunately, they also pose a disease risk and are often associated with evil by those who adhere to the draconic zoological texts of yore (these same texts claim that weasels give birth out of their ear). While it’s possible (and somewhat rewardable) to keep a bat as a pet, wild bats are unwelcome in your home for numerous reasons. You might also want to keep them off of your property if you have kids or pets who might accidentally provoke an attack. If there are two words that are more important to link together, I’ve yet to find them. Bats are horribly maligned and, as a result, many of the 1,300 species worldwide are in decline. The more you know about these critters, the better off your family and entire community will be. Bats come in a wide variety of shapes and sizes, but generally resemble rodents with leathery wings. They’re genetically closer to humans and other primates than rodents, however. Generally considered blind, their tiny eyes are actually very sharp, with some species seeing three times as well as a human. Many species have stubby noses or large ears to aid in echolocation and detecting prey in low light. Depending upon the species, bats may have a membrane connecting their feet and tail, a tail with no webbing (known as free-tailed species), or no tail at all. This wide variety of physical designs can make it easier to identify a species of bat by their silhouette. 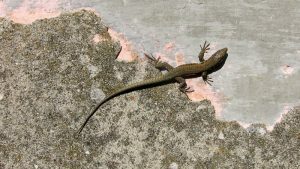 The Encyclopedia Smithsonian provides information on a number of invasive species, including images. A bat’s wing is actually also their hand. They use their thumb (a little claw on the leading wing edge is used to help grasp objects. Bats can also use their wings to help them crawl across the ground and up walls. The rodent-like appearance is one of the things that have caused bats to be associated with the devil. In the 13th century, black cats were slaughtered in huge numbers because the color was considered evil in Europe (as opposed to symbolizing beauty in Africa and Asia). This led to a boom in the rodent population. Poor hygiene meant that fleas bred like crazy and used the rats for mobile feeding stations. Flea bites posed a risk of transmitting Bubonic plague, which wiped out a huge percentage of Europe in only a few years. Because bats resembled rats with wings, the superstitious population thought the devil made them to help slaughter humanity. Note that we didn’t understand the role of fleas until recently, so the bias against rats and bats became part of our culture. Contrary to popular belief, very few bats actually drink blood. The majority of bats feed on insects such as mosquitoes, moths, beetles, and grasshoppers, while some species prefer fruit. These diets are not only affected by the environment, but (unlike other critters) the bats’ diet actually affects the entire food chain of an environment in an almost symbiotic manner. Bats have always preferred shady places to sleep, most often nesting in caves and caverns. You will also sometimes spot bats hanging around (literally) in dense trees. As we continue to destroy their natural habitats, bats have taken refuge in manmade structures. Towers, tunnels and the underside of bridges are all popular nesting grounds. Unfortunately, the noise in some of these places may drive bats to the relative peace of your home. Bats are vital to many ecosystems, from caves to deserts. Farmers have used their guano as a fertilizer for centuries. Additionally, many species love eating mosquitoes and other problematic insects. Drop in over at the National Park Service to learn more about some of the species in the US and their role in maintaining entire ecosystems. Wild bats pose a health risk to humans, even though they will most often avoid contact when possible. Three risks in particular give reason for extreme caution, even though there’s a decent chance the bat is perfectly safe. Caused by Histoplasmacapsulatum, a microscopic fungus which can sometimes be found in guano, the spores cause infection when inhaled. This disease may or may not show flu-like symptoms and can prove fatal for those with weaker immune systems. For more information about the Histoplasmosis, I suggest checking out the Mayo Clinic. As with just about any furry outdoor critter, bats can track in fleas, mites, and ticks. Not only are these a pestilence unto themselves, but you can also be exposed to lyme disease. Remember, tiny fleas were the primary transmitter of notorious Bubonic plague, so never underestimate a parasite! This is perhaps the single biggest reason to be cautious around a bat. Due to their acute senses, it’s often easy to spot a rabid bat. As studies into armadillos continue, vaccine pills designed to combat rabies are becoming more effective. The bad news is that there’s no guarantee that a bat, raccoon, or other rabies-prone critter has eaten one. Rabies is fatal in humans if not treated soon after contact. The disease can be transferred through contact with blood, feces, urine, or even a decaying corpse. A person who has been exposed to a possibly rabid critter will have to endure a series of painful inoculations to ensure the disease doesn’t take hold. Rabid bats, as with many other infected species, may not show the symptoms you remember from Old Yeller. However, a bat might be rabid if they’re active during the day, not afraid of humans, and are spotted resting on the ground or acting wounded. It’s important to turn a captured bat over to animal control as soon as possible if you believe it has come in contact with a human. They’ll inform you if they discover traces of the disease in the critter after testing. 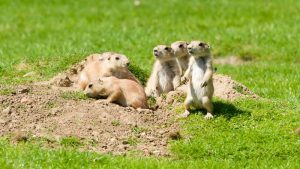 It can be a little difficult to identify the type of critter making their home in your’s without making visual contact. Thankfully, there are a few signs that separate a bat infestation from that of squirrels or mice. Bat guano may first appear similar to rat droppings, but they have two rather unique features. First, the remains of insect wings will be a dead giveaway for carnivorous species. These will resemble glittery flecks when the light hits. Secondly, guano is very loose and breaks down easily, often ending up in piles below the entry point for a roost. Due to the design of their hands and feet, bats can be very audible. You might hear them crawling around, as well as general scratching sounds and squeaking noises. To help identify the critter as a bat, pay attention to the times when sounds are most notable. Bats will make the most noise around dusk and dawn, whereas diurnal creatures tend to be heard throughout the day. If you’ve ever been on a high protein diet or have cats, you’ll know that the protein makes urine smells extremely strong. Bat urine tends to be a milky white and can be found streaking windows or accumulating below an entry point. Unlike birds, bat waste is full of protein and can give off an extremely strong odor. Another sign related to stains can be found at entry points. Dirt and grease from the bat’s coat will often accumulate around the opening as the bats squeeze in and out. Depending upon where the bat has settled in, they can be either easy or difficult to get rid of. Thankfully, most methods pose a low personal risk. Cleanup, on the other hand, still poses several health risks and must be done with care. Depending upon where the bat is hanging out, the methods may vary greatly. Note that you generally can’t evict a colony during the summer due to the presence of babies. Bats are strictly No-Kill! Due to their massive impact on the environment and declining populations, it is illegal to kill a bat just about everywhere. Sometimes when you hire a professional, they’ll make a judgement call and terminate a bat showing clear signs of rabies, but this is extremely rare and even full certifications provide only limited legal protection. There are two major types of product you can use to get rid of bats. Both are no-kill alternatives, and each serves a different function. When you need to evict a bat or other critter, exclusion devices are a big help. These are one-way doors that allow the critter to leave through an entry point but not get back inside. These devices are meant to be temporary and you should seal up those entry points once all your unwanted critters are stuck outside. These devices use light and/or sound to make a place unattractive to bats and other critters. Sonic devices emit a sound human ears can’t hear, but your dog or cat might be bothered by it. Meanwhile, light devices use a strobe effect and work well against nocturnal critters but should not be used if anyone in your household suffers from epilepsy. Chances are, this will be the place bats will congregate in your home. A good attic will provide warmth and a perfect environment for raising young. Things get even more complicated if you lack an attic and you have bats in roof crawl spaces that lack easy access. In a case like this, you will need to hire a professional exterminator to safely extract the live bats. 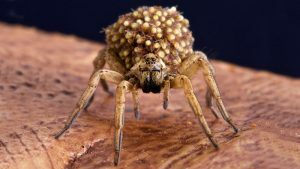 The good news is that you can take a few steps to evict the adults (the exterminator will have to remove any young) by dealing with entry points. This process is fairly straightforward but can be used for a variety of pests, not just bats. Examine the outside walls of your home carefully for any openings. These entry points may be as little as half an inch. Primary entry points tend to be larger and should show some signs of staining or usage. Carefully seal all but the primary entry points. This will keep critters from sneaking in by an alternate route. Install an exclusionary device at each primary entrance. These devices function as one-way doors, allowing the critter to leave, but be unable to get back in. Once you’re sure the critters are gone, you can seal up the primary entrance and clean up the nesting area. In the case of bats, exclusion often also requires an additional step just prior to or after the summer months, as any young will be trapped inside with no food or water. Most exterminators will refuse to disrupt a roost that may contain nursing infants due to the risk of mothers abandoning their young. These spaces are much harder to bat-proof due to their need for aeration and easy access. Sealing up smaller access points may be useful for heating purposes, but the bats are likely using the same entrances as you. Chemical or electronic repellents are your only effective option in this case. Bats prefer high elevations, so when you see them roosting in your basement, it’s usually a sign your entire house is infested. You’re not only going to need to bat-proof the basement, you’ll need to deal with the walls and attic as well. I would recommend at least getting a consultation from someone certified to handle bats. Consultations are usually free, and the expert will be able to judge the extent of an infestation. As an added bonus, you can expect some good advice and can obtain an on-the-spot quote in the event you want professional removal. When it comes to infestations, the chimney tends to be easiest to address. Close your damper and install an exclusion device at the top of your chimney. Be sure not to use the fireplace until all the bats are gone so they won’t fly into your living space. Once all the bats have gone, it’s a simple matter to add a screen cap to the chimney and clean up any waste. While you’re at it, you may want to seal up any potential entry points along the sides, as these can also cause heat loss. An infestation in the walls or between floors is generally a worst-case scenario. 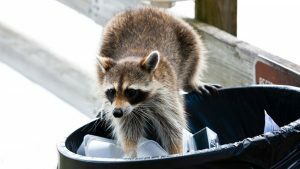 These situations will require some destruction during cleanup and there are plenty of places for the critter to hide. You’ll definitely want a professional to deal with this scenario, but there are a few things you can do to help with the cost. Carefully examine the exterior walls of your home for any potential entry point. These can be as small as half an inch. Seal all secondary entry points after identifying potential primary points. Place exclusion devices at all primary entry points. You’ll have to wait for all the bats to leave, but be warned that any babies may remain trapped. Once the bats are gone, you’ll need to seal off any primary entry points. At this point, you’re going to want to hire a good contractor, as the final steps will require breaking into the walls from inside the house. You’ll need to remove any waste they left behind. These can not only smell bad, but you can also suffer health issues or even structural damage over time. Foam insulation is an excellent way to help prevent future invasions and can further improve your home’s heat efficiency when paired with all those sealed entry points. Getting rid of a bat flying loose in your home can be a daunting task. Generally, a bat won’t exit a door or window if they came in that way seeking warmth. In any case, it’s important to find out if the bat came into contact with any two (or four) legged members of your family. You have to be careful catching a loose bat, as injury will prompt it to attack. Thankfully, a coffee can (or similarly large container), cardboard, and some thick gloves are all you need to catch the critter. Let the bat settle in a bit and find a surface to rest on before moving in for the capture. Approach the resting bat slowly. You’re going to want to hold the coffee can at an angle so it’s harder for the bat to get away. Slide your cardboard under the can once the bat is trapped safely inside. When someone has come into contact with the bat, it’s necessary to use something a little better than cardboard. Carefully slide the lid to the container underneath the cardboard, then gently slip the cardboard out so that the container becomes sealed with the actual lid. This gives time for the health department to collect your bat. Note that poking a few air holes in the lid before using it is generally a good idea. Unless you have reason to believe a bat is rabid or have verified contact, you can simply release your bat outside. Find a tree and place your trap against it, cardboard side in the middle. Gently slip the cardboard out and give the bat a few moments to latch onto the bark. Then, carefully remove the can and back away slowly so you don’t startle the critter. Now you and the bat both can safely go about your own business. There are plenty of ways to repel bats. Chemical repellents can be used to generally discourage bats from visiting your property. These have varied results and may not be totally effective. A better option is to use electronic repellents. Bats are extremely sensitive when it comes to sound and light. Some of these units will emit ultrasonic waves, some intermittent strobes, and some both. These have their disadvantages (sonic devices can bother your four-legged family members and strobes can pose an epileptic risk), but are far more effective than any alternatives. Due to the protected status of bats, it’s almost always wise to hire a professional, even if only for a consultation. No bat removal expert or certified exterminator will suggest extermination. The sole exception is if there are clear signs of rabies, at which point the expert will attempt to capture the bat but may (in extreme circumstances) resort to exterminating an individual bat. 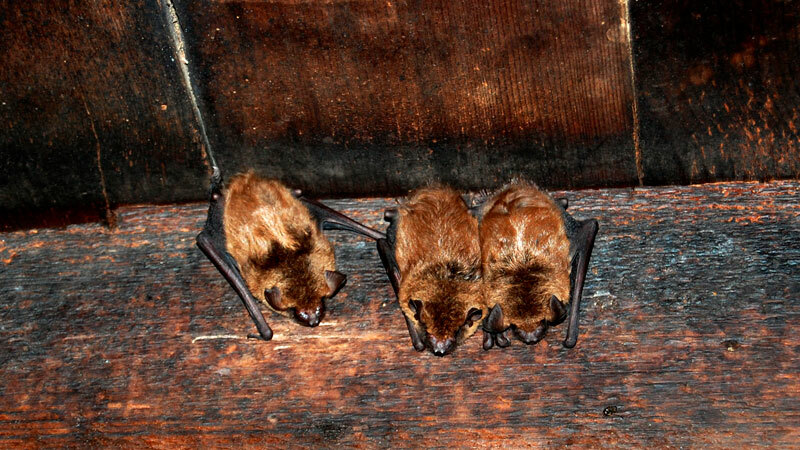 Bat removal costs may vary greatly, based upon the location of the bat, quantity of an infestation, or time of year. Being able to identify the species of bat will help choose the best method, and may also affect the final quote. Be wary of any professional who tries to suggest repellents and traps, as these are not cost effective and may lead to injuring a bat in some circumstances. Instead, they will explain exclusion techniques, prevention, and let you know about any potential health hazards the bats leave behind.